I have a feeling this is going to be anti-climactic. As much as I would love to see a huge battle in Tar Valon, I have a feeling this situation will be resolved somewhat cleanly. Not to say there won't be bloodshed but I have a feeling we aren't going to get the battle that has been hinted at for 3 books. I think with Tarmon Gai'don looming they may reach some sort of agreement. I think it will be that or Tarmon Gai'don will kick off at the white tower which would be amazing. The walls of Tar Valon couldn't even be breached by Artur Hawkwing. Gareth Bryne doesn't have a friggin' prayer. The battles will happen either outside the walls or there will be small numbers of skirmishes inside due to Traveling. Tar Valon is impregnable. 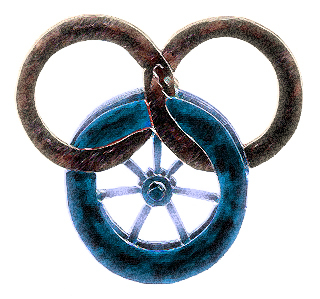 The other option is that there will simply be two major factions of Aes Sedai. That one's not too hard to believe, I don't think.